This petition has been created by Laura S. and may not represent the views of the Avaaz community. The UK government believe that reducing their numbers will help stop the spread of a disease called bovine tuberculosis (TB). But they're wrong. "As scientists with expertise in managing wildlife and wildlife diseases, we believe the complexities of tuberculosis transmission mean licensed culling risks increasing cattle TB rather than reducing it." The Department of Environment, Food and Rural Affairs refuses to listen to reason. They are not just killing badgers infected with bovine TB, but any badger that they can come across. Healthy or not. They are being trapped in cages and shot, there is even talk of gassing them. Most of us know that this isn't right. Celebrities such as Queen guitarist Brian May, David Attenborough, Ricky Gervais, and Chris Packham have expressed their disgust at what seems to be the government's way of appeasing farmers. Now, the public is finally realising that the government's policy of killing off these badgers is mindless and likely driven by money. But they're still going ahead with it. We need to make them see that what they're doing is wrong. 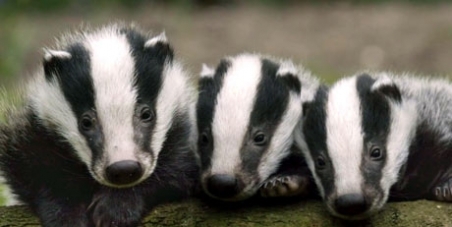 Badgers have called Britain home for over 250,000 years. They're shy but social animals who live in big families and are fastidiously clean. They are also a long-standing and beautiful part of British wildlife. They are also a protected species under the Protection of Badgers Act, 1992. But the government seems to have forgotten. They need to know that we don't accept the needless killing of these creatures. In the UK we had an e-petition (closed in October) with over 250,000 signatures telling the government to stop the slaughter. But the government refused to listen. David Cameron is staying silent. So we need some help. This has got to go global. We need people all over the world to voice their protest and maybe, just maybe, we can get through to them. Bovine TB is a terrible disease, but killing off healthy badgers isn't the answer. The Wildlife Trusts knows that vaccination of the badger population is the solution and have already started up vaccination programs in some areas. It will saves thousands of innocent lives. Our neighbouring country, Wales, is already vaccinating badgers to great effect. But we need the government to listen to us. Help them hear our cries!